Locket exclusiv at Names4ever. In heart shape, oval and round. Silver oval medallion with blue cameo "Mother and Child"
Silver oval medallion with blue cameo "Woman"
Silver oval medallion with blue cameo "Cat"
Silver oval medallion with blue cameo "Horse"
With a locket, you can carry a photo of a deceased loved one with you, so your lover is always near you. The locket is thus a wonderful memory . It is also a nice alternative to souvenir jewllery such as ash or fingerprint jewellery , should it not be feasible. All that is needed is a nice photo. In addition, the locket necklace has been worn in many different styles since the 16th century and the jewllery is still very popular. For example, a locket is a timeless and trendy piece of jewellery that is also very personal. After all, a picture says more than a thousand words. 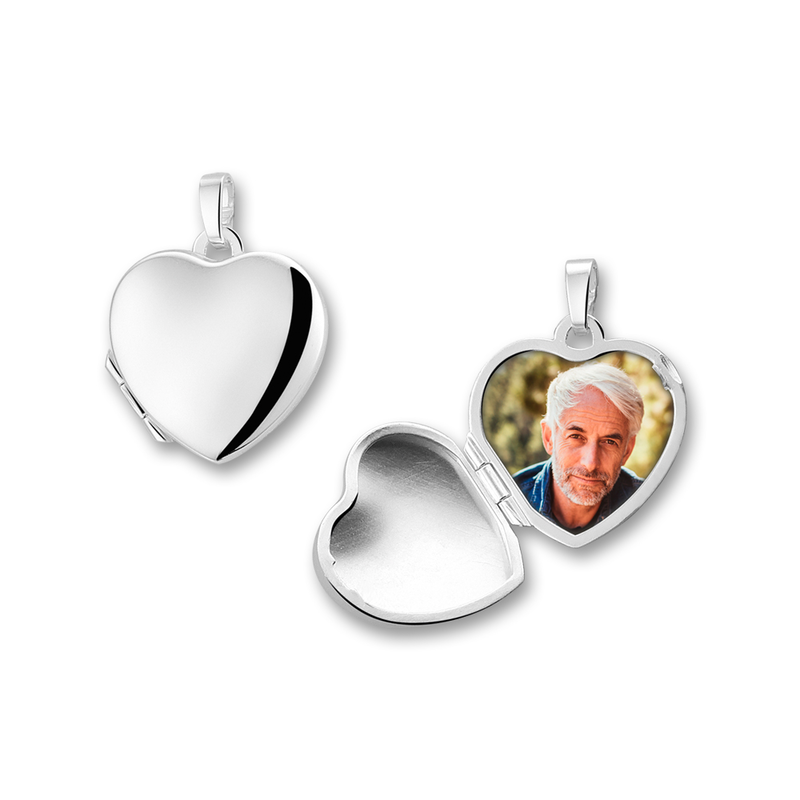 Each locket from our collection is made of high quality silver: 925 sterling . This material is made of 92.5% silver, supplemented with copper to make the silver stronger. Pure silver is too soft to work and therefore too fragile for jewellery. 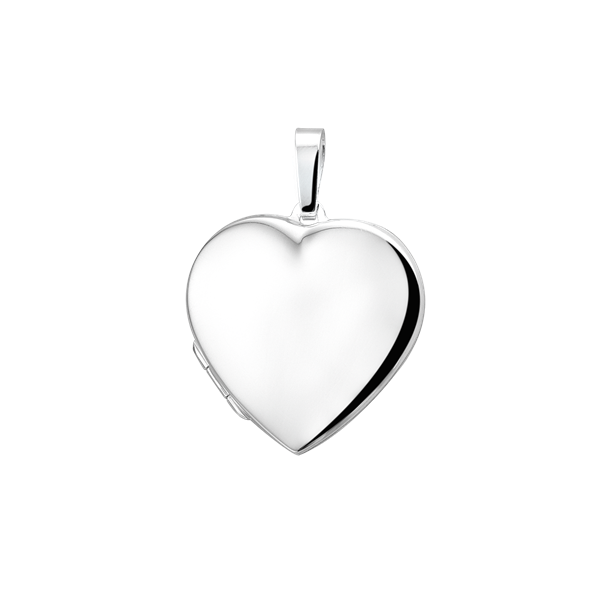 All of our silver lockets can also be delivered with a genuine 925 sterling silver chain , so the necklace is very durable and you can wear your locket immediately upon receipt. 2 photos can be placed in any of our lockets. That way, you can also choose another photo that says a lot about him or her, in addition to a picture of your loved one. 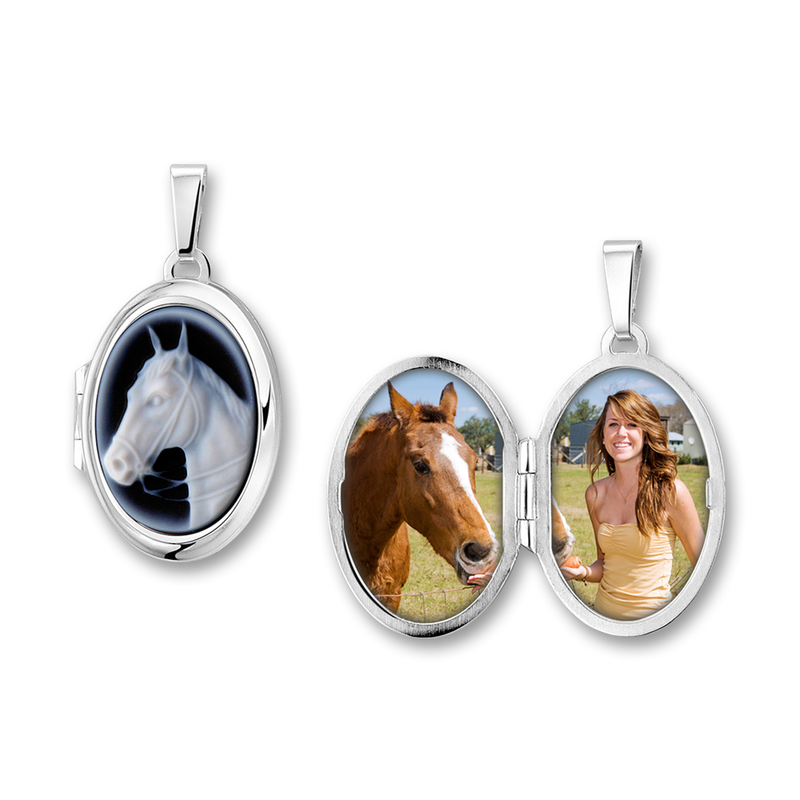 In addition to a photo, you can also personalize your locket with Names4ever . For example, you can have a name and date engraved, but also a beautiful statement that means a lot to you or to your deceased loved one. 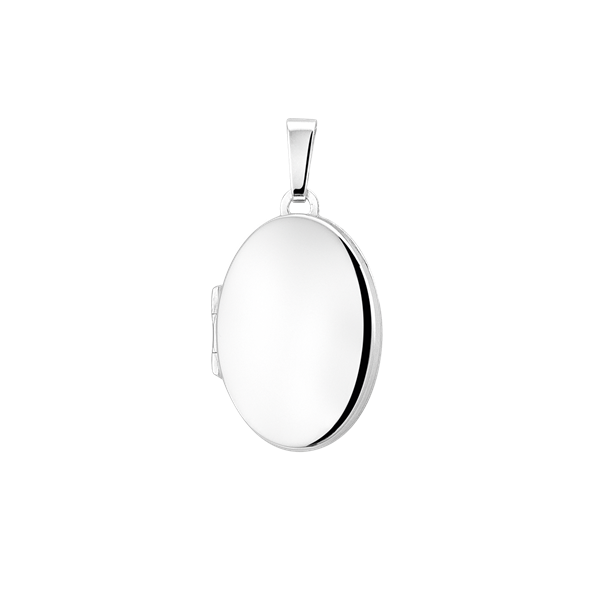 Of course, you can also choose to wear the locket without text. In this case, you can leave the text fields empty during the order. Our lockets are available in different styles . 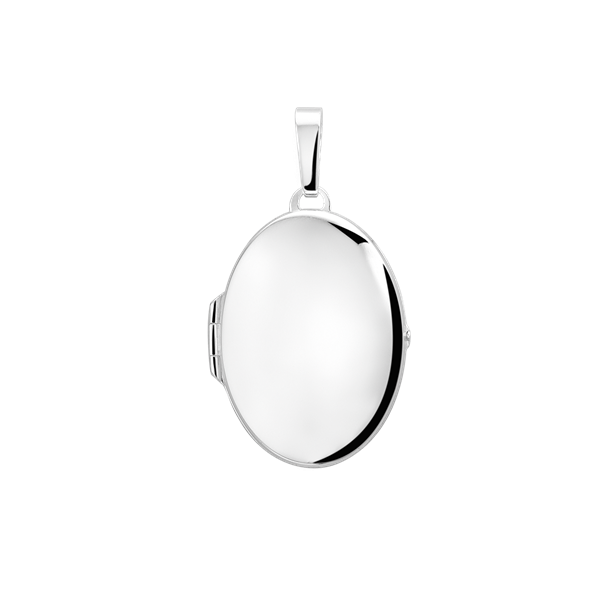 We have smooth silver locket, but also silver lockets with cameo . 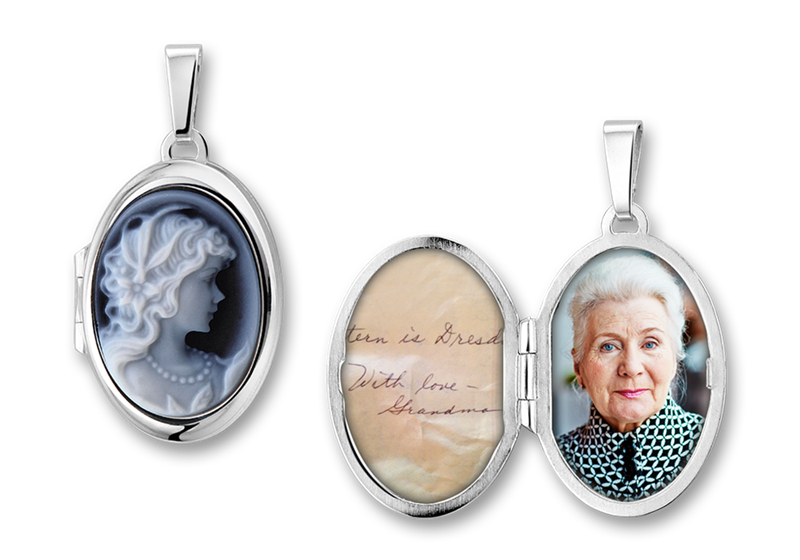 Our lockets with cameo can be found for different lovers. 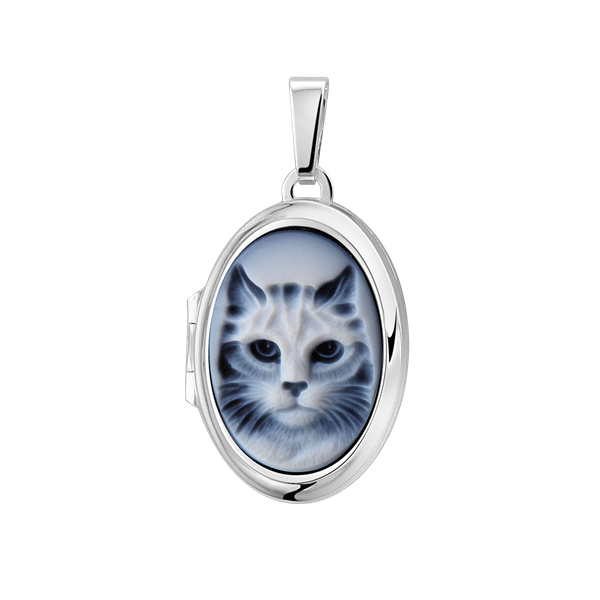 For example, we also have beautiful lockets for commemorating your pet . Think about your cat or your horse, for example. In this way, you can also show what special place your pet has in your heart and you can always carry it with you. How do I order a locket? You can easily and quickly order your personal locket from Names4ever. Choose your favorite locket and text, and place your order. You will then receive an order confirmation. We bring your locket into production. Our delivery time is approx. 10 working days . Note : The locket will be delivered without a photo ! So you have to put the photos on receipt of the locket. All of our jewllery is delivered in a jewllery box, so you can also keep the locket as a gift or yourself. For questions, please contact our Customer Service . Do you have a special request? You can also contact our customer service. We will let you know if this is possible.